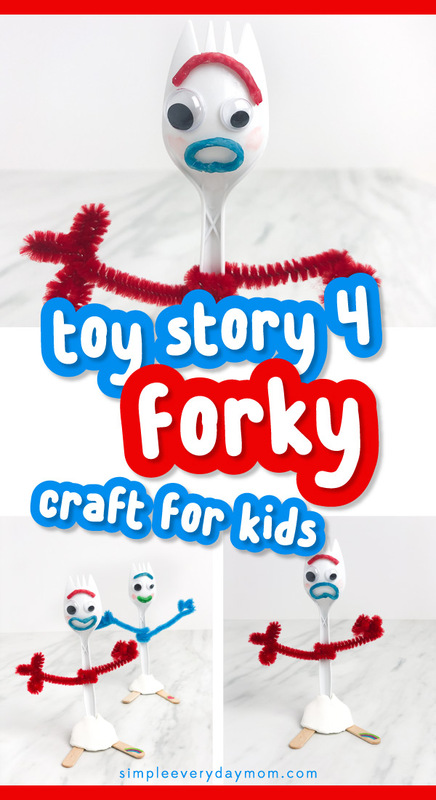 Inside: Kids will have a blast making their own Forky craft toy just like Bonnie does in Toy Story 4! Who can ever get enough Disney in their lives?! 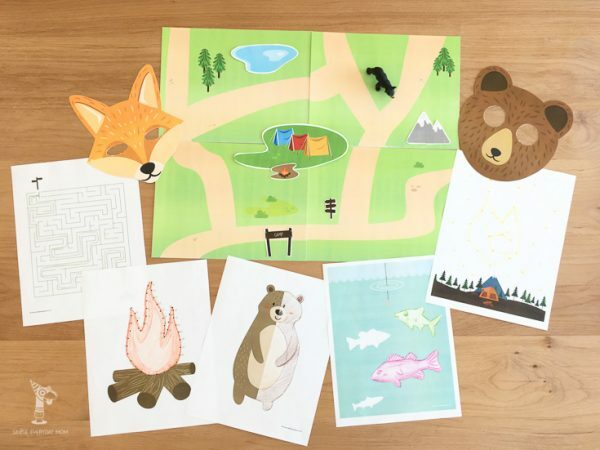 We love Disney around here and have done some fun Disney activities for kids like this Incredibles 2 rock craft, these Disney Easter egg decorations and this DIY Disney autographs book. 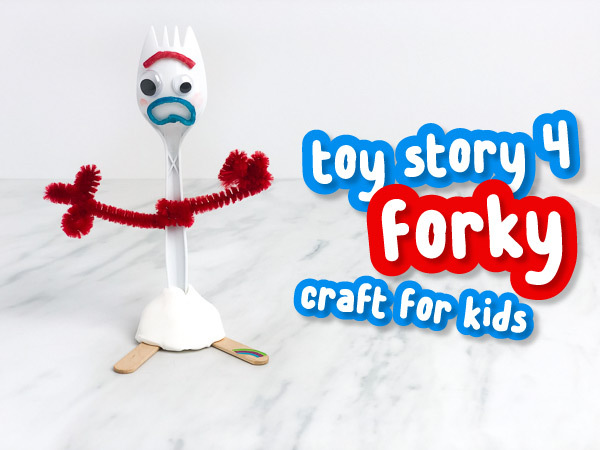 With the upcoming release of Toy Story 4, we’re sharing how to make one of the newest members of the Toy Story crew, Forky. 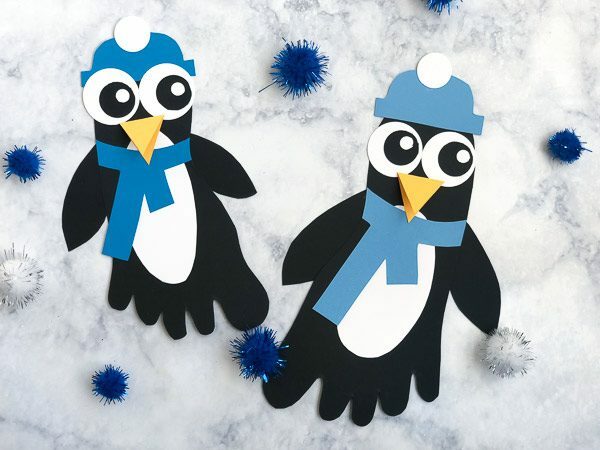 Read on below to see how you can make one with your child or student! If you haven’t seen Toy Story 4 yet, you might be wondering who is Forky? Forky is a simple little toy Bonnie makes in the movie from a spork and some craft supplies. She loves him and brings him home to become one of her newest toys! 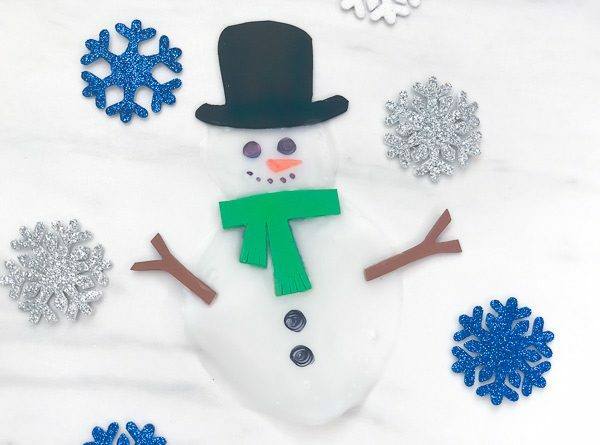 Your kids will definitely want a Forky of their own, so check out these easy directions. Cut your popsicle stick in half and use the teal marker to write Bonnie or your child’s name on the bottom of the popsicle sticks. Take a small chunk of plain clay and make it into a volcano shape. Stick the popsicle stick halves onto the underside of the clay with the “legs” angled outward a bit. Take your spork and press the base of it into the top of the clay volcano. Wrap your red pipe cleaners around the spork, in the middle of the handle. Shape the ends to make 3 fingers on each side. 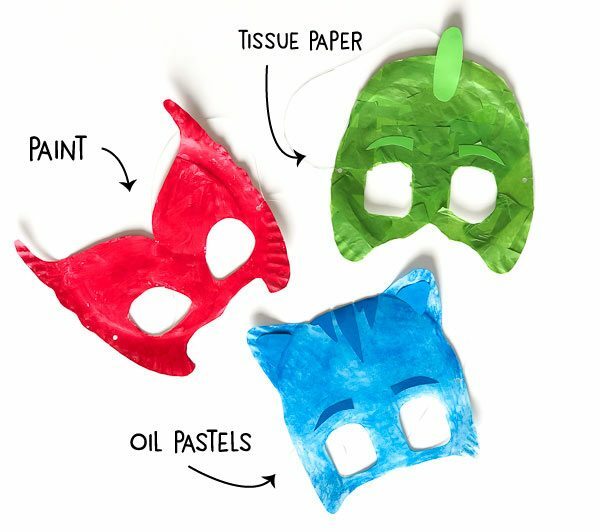 Choose 2 different sized adhesive googly eyes and attach them to the middle of the spork. 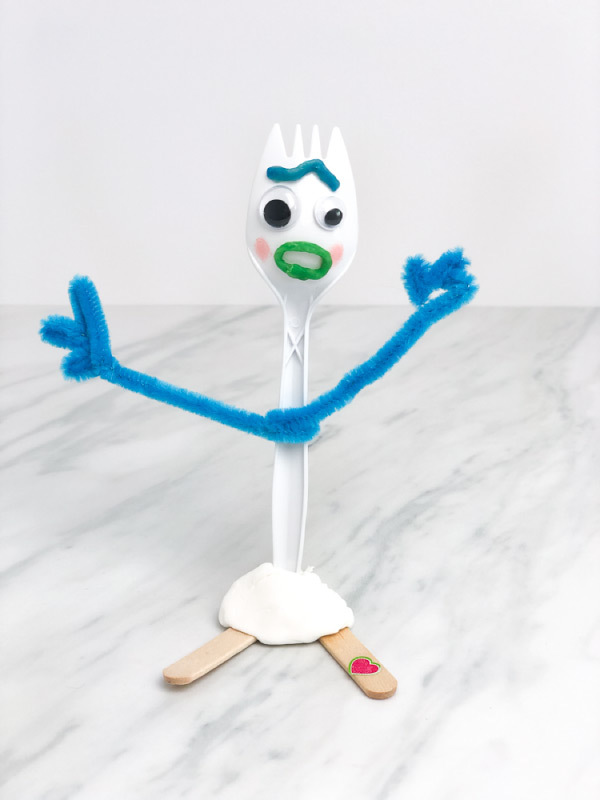 Use a blue Wikki Stix to make Forky’s mouth and press it on the spork. Use a red Wikki Stix to make his eyebrows. Color the sides of Forky’s mouth with a marker then dab it with your finger to blur the marker and give him rosy cheeks. Place your rainbow sticker on the edge of one foot. 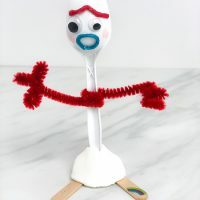 Now you have your very own Forky! The great thing about using Wikki Stix is they’re endlessly repositionable so your kids can change Forky’s eyebrow and mouth expressions ad many times as they want! 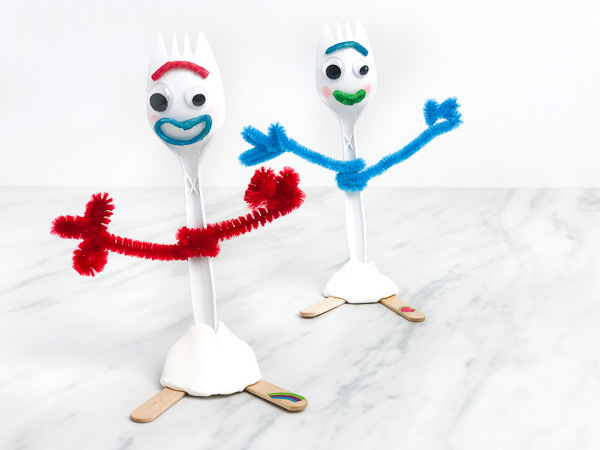 After we made our first Forky, we made him a friend who we called Sporky, because shouldn’t that really be the correct name??? 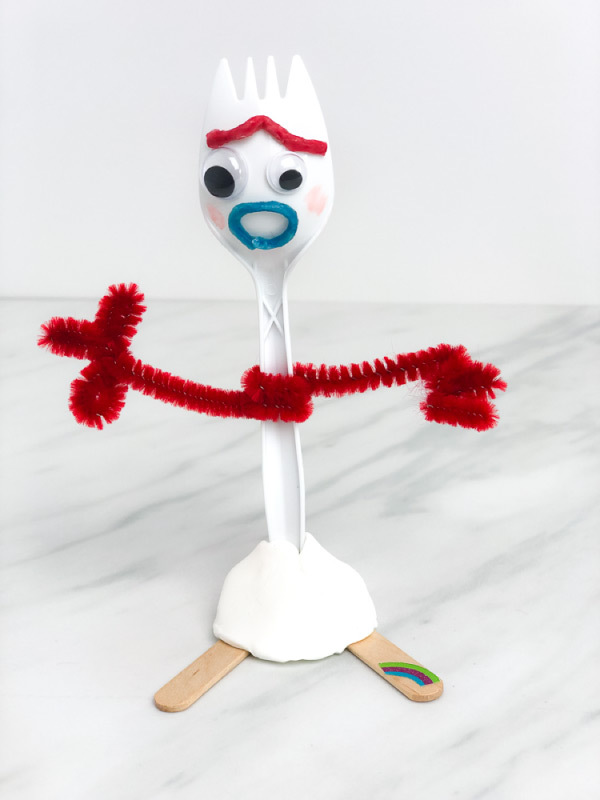 Your kids will have so much fun making their own customized Forky toy at home. Just like the real Forky, he’s slightly fragile until the clay hardens so make sure your kids don’t play too rough with him. Don’t forget to bring this little guy with you to see Toy Story 4 in theaters! 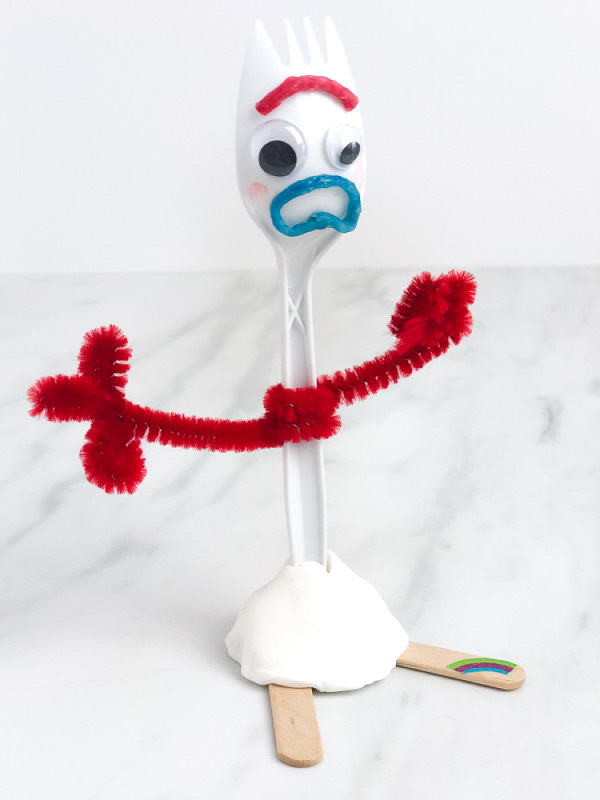 Learn how to make your very own Forky from Disney Pixar's Toy Story 4! Cut your popsicle stick in half and use the teal marker to write Bonnie or your child's name on the bottom of the popsicle sticks. Take a small chunk of plain clay make it into a volcano shape. Stick the popsicle stick halves onto the underside of the clay with the "legs" angled outward a bit. 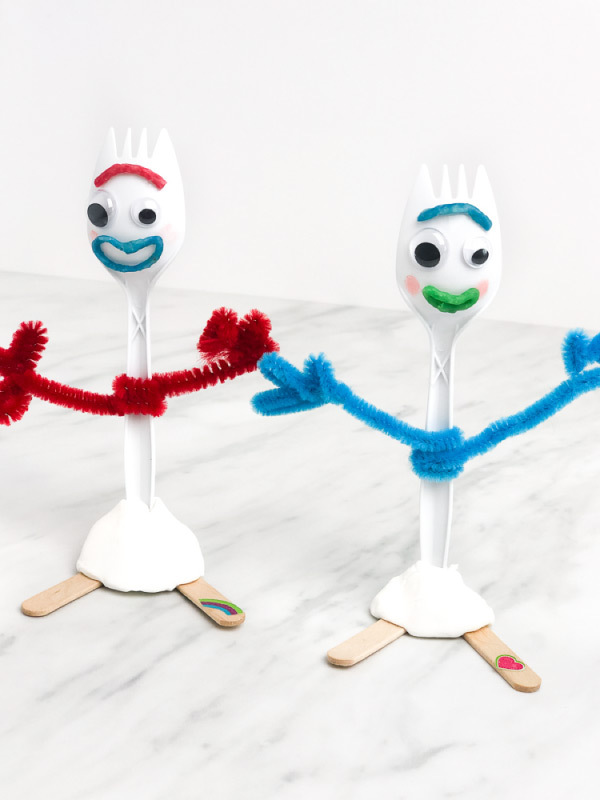 Use a blue Wikki Stix to make Forky's mouth and press it on the spork. Color the sides of Forky's mouth with a marker then dab it with your finger to blur the marker and give him rosy cheeks.